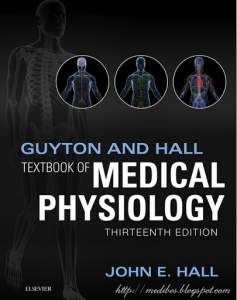 You can Print This eBooks OR You Can Read It On Almost All Devices Textbook of Veterinary Diagnostic Radiology, 6th Edition book in PDF format. 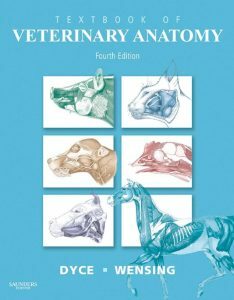 Covering the principles of radiographic technique and interpretation for dogs, cats, and horses, Textbook of Veterinary Diagnostic Radiology, 6th Edition helps you develop proficiency in diagnostic skills. 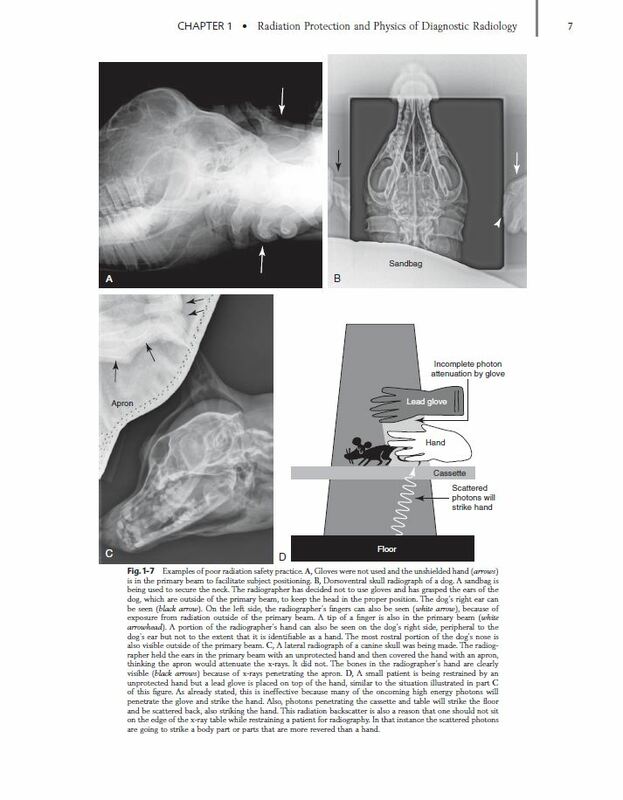 High-quality radiographic images accompany clear coverage of diagnostic radiology, ultrasound, MRI, and CT, as well as patient positioning, radiographic technique and safety measures, normal and abnormal anatomy, radiographic viewing and interpretation, and alternative imaging modalities. 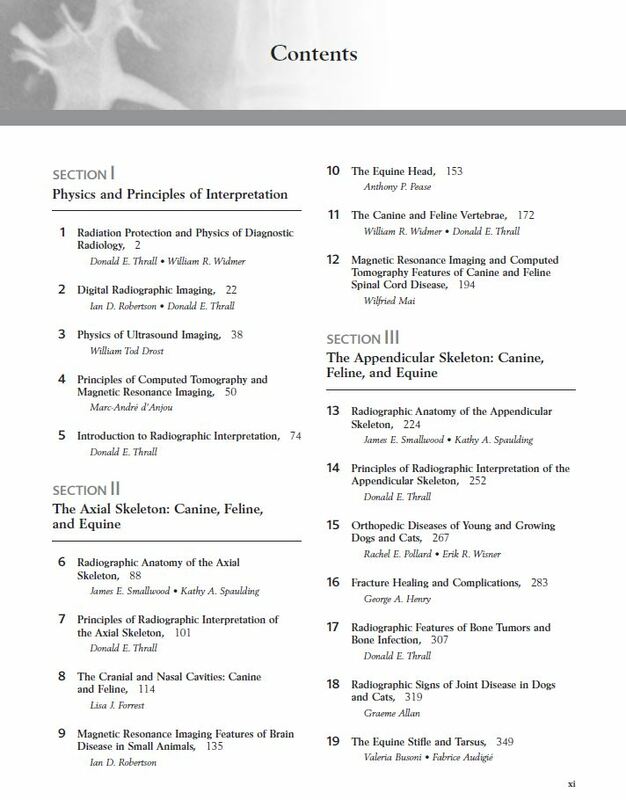 New to this edition is a chapter on MR spinal imaging and updated information on digital imaging. 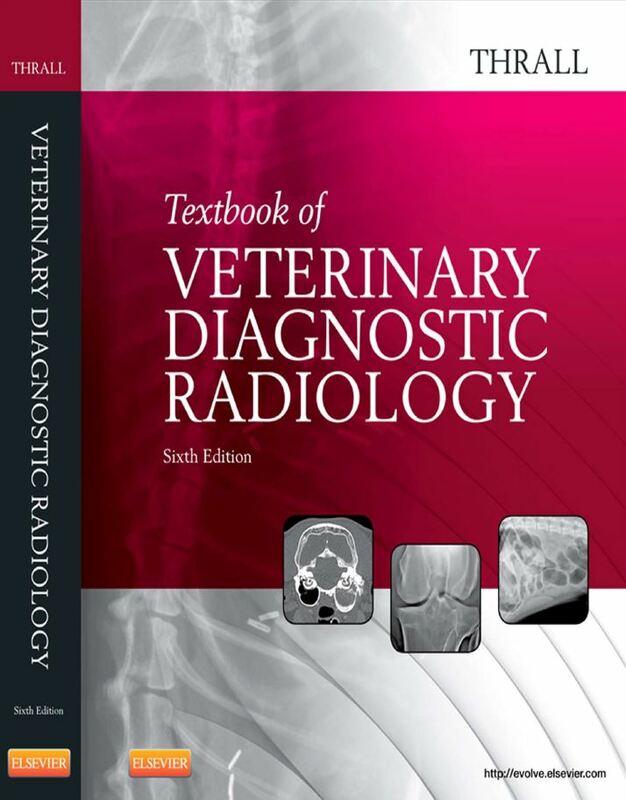 Written by radiology educator and expert Donald E. Thrall, along with a group of highly qualified, board-certified radiologists, this bestselling reference is a one-stop resource for the latest advances in veterinary diagnostic radiology. 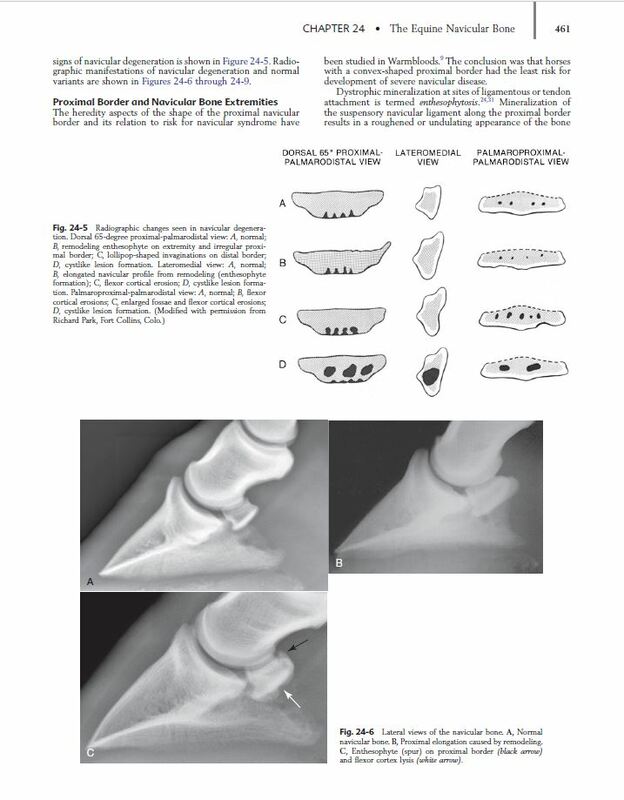 Clear explanations and a logical format simplify the principles of veterinary diagnostic radiology, including patient positioning, radiographic technique, specific anatomic features of the body part in question, methods of radiographic viewing and interpretation, and assessment and applications of alternative imaging modalities. A discussion of radiation safety highlights measures that can protect you from harmful radiation exposure. 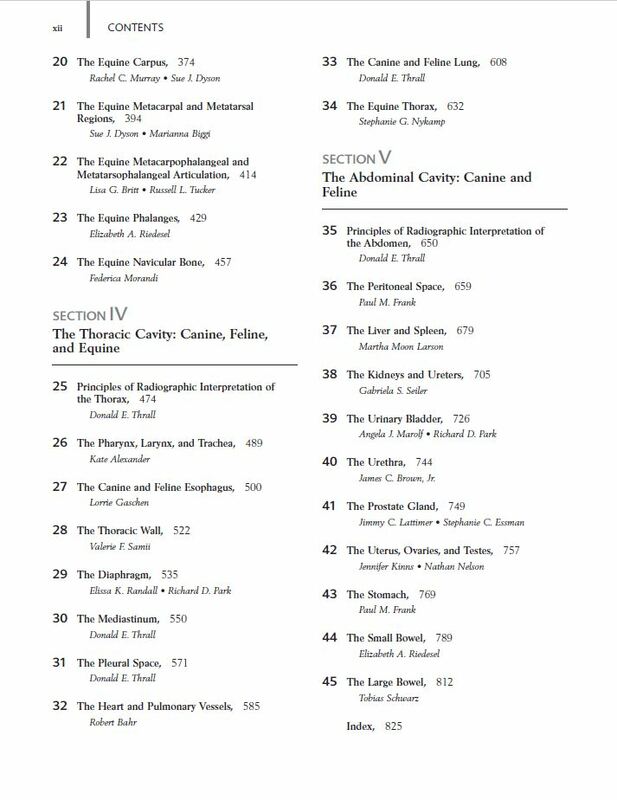 NEW chapter on MR spinal imaging provides the latest information on the diagnosis of spinal cord disease through the use of CT and MRI. NEW information on digital imaging covers the newest advances in digital imaging. 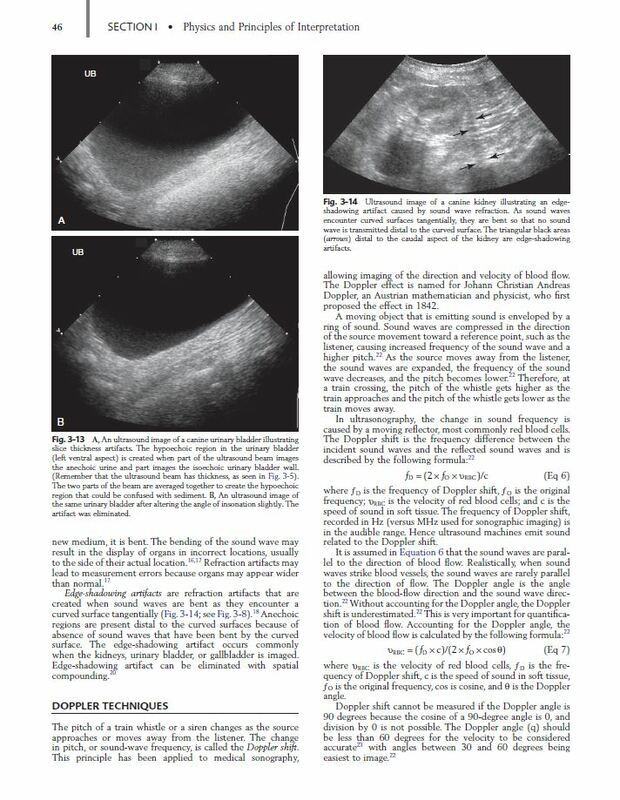 Updated coverage of procedures such as the esophagram, upper GI examination, excretory urography, and cystography helps in determining when and how these procedures are performed in today’s practice. 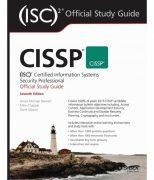 Revised chapters on basic interpretation make information easier to find, with in-depth discussions of the principles of image acquisition and interpretation, radiography, radiation safety, and basic coverage of normal variants.